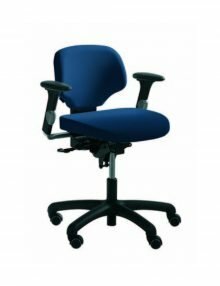 WE SELL THE COMPLETE RANGE OF RH CHAIRS. PLEASE CONTACT US IF YOU CANNOT SEE THE CHAIR YOU REQUIRE. Chairs you can feel great in, even when you are not sitting. The human body is not designed for sitting still for eight hours a day. You need to move, change your working position frequently and keep your body erect to make breathing easier. This oxygenates the blood, helping you to maintain your concentration and cope with a full working day. The manufacturers of these chairs call this “active sitting”. 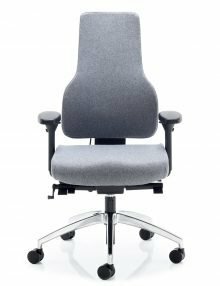 An RH chair is designed to follow your movements and give you exactly the right support in relation to your height and weight. It is ﬂexible, permitting many settings and adjustments, and can be used in an open/free rocking position – something we recommend that you do often. It also encourages an upright body posture, which is a key factor for healthy sitting. 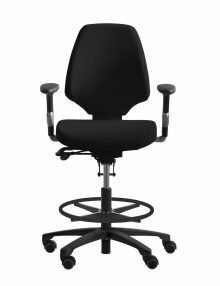 All RH products carry a ﬁve-year warranty from date of delivery with the exception of the RH300/400 chair with usage over eight hours a day (24 hour use) where a two-year warranty is offered. 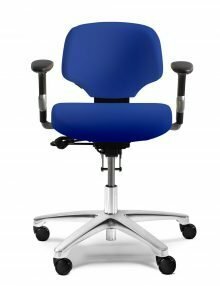 RH Activ is the entry level chair. That said it is still Packed with ergonomic features and Functions. RH Activ is ergonomically designed through and through and it is easy to use. 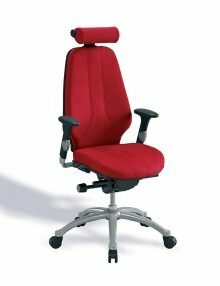 Choose between four combinations with two different backrests and seat sizes. 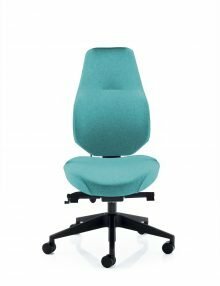 The RH Activ chair is 100% recyclable and many of its components are themselves made from recycled materials. All chairs come with a black plastic base and castors for carpeted floors. 50mm Seat Slide adjustment, Height and angle adjustable backrest, Lockable free float chassis. Back width 370mm, Height 295mm. Seat size width 440mm, Depth 430mm. 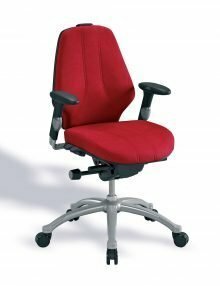 RH Active is the entry level chair. 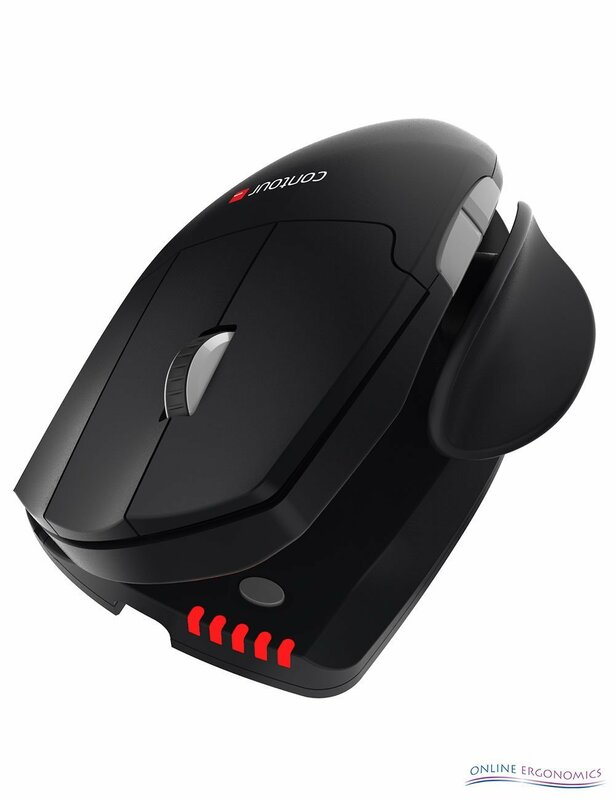 That said it is still Packed with ergonomic features and Functions. 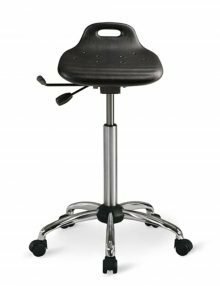 RH Active is ergonomically designed through and through and it is easy to use. Choose between four combinations with two different backrests and seat sizes. The RH Active chair is 100% recyclable and many of its components are themselves made from recycled materials. All chairs come with a black plastic base and castors for carpeted floors. Seat size width 460mm, Depth 460mm. Back width 370mm, Height 430mm. 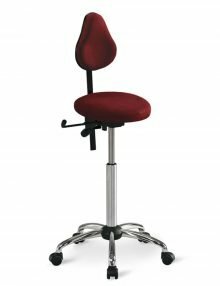 A support chair for sit-stand work environments. 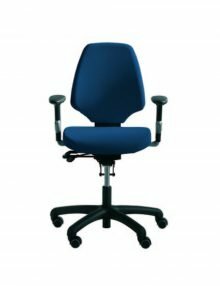 With exceptionally good flexibility, it is ideal for a range of work situations. 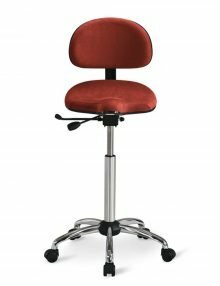 The chair is available with or without backrest. 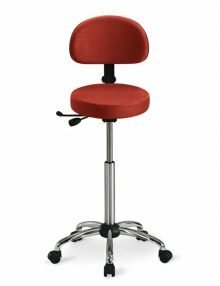 We can customise the RH Stools to your requirements. If you would like different materials and colours then please get in touch. 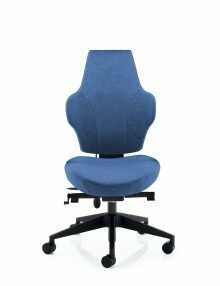 Features include a high backrest with extra padding to provide support between the shoulders and a pronounced curve of the back for optimum sitting comfort and strain relief. The backrest narrows towards the top to allow greater freedom of movement for the arms. 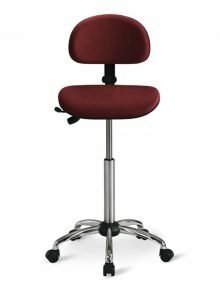 The chair is supplied as standard with a base in graphite aluminium with matching infills and castors for carpeted floors. 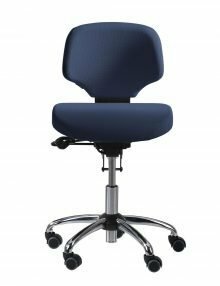 Options include a neckrest, armrests and different castors. The chair is also available in leather.